Textiles There are 43 products. Black, white, attitude and Moomins. 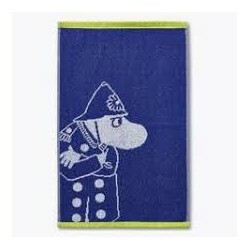 The Moomin Life kitchen towel plays with real life humor, which many can relate to. 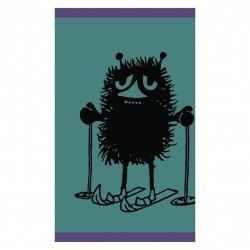 With the Life kitchen towel the decor of a kitchen will get a big dose of attitude, as well as timeless style. Cute, very simple and stylish. 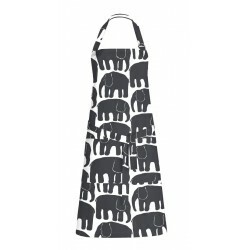 “Elefantti” meaning elephant in Finnish, is designed by Laina Koskela in 1969 as a result of a design competition by Finlayson and the Institute of Industrial arts. These cunning little elephants melt the hearts of people of all ages. 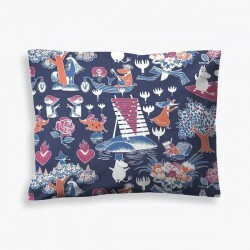 The Magic Moomin (Finnish: Taikamuumi) cushion cover has a touch of magic. The Moomin characters are enjoying their night by the dark blue sea. 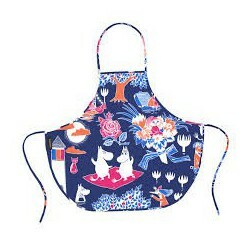 Original pattern is designed by Tove Jansson, and its vibrant colors are sure to fascinate children as well as adults! 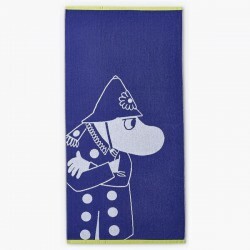 Bath towel MoomintrollThe main character as curious as ever. You can´t get enough of these spooky creatures. 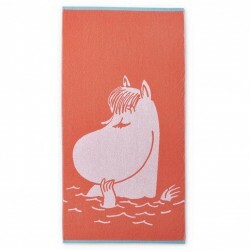 The beautiful Snorkmaiden on a coral towel. The Magic Moomin (Finnish: Taikamuumi) print has a pinch of magic. The Moomin characters are enjoying their night by the dark blue sea. 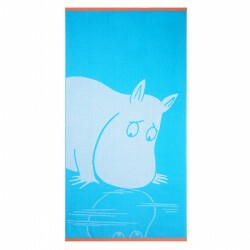 The Magic Moomin is an original pattern designed by Tove Jansson and loved by all.